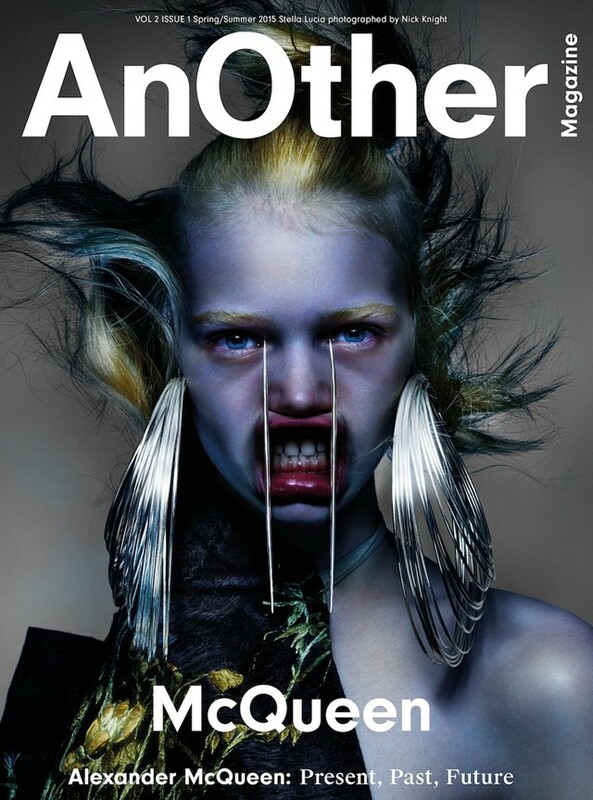 AnOther Magazine S/S15 is a vibrant showcase for three unique sides of Alexander McQueen, represented by three extraordinary cover stories. Celebrating fashion, rising star Stella Lucia is shot by Nick Knight and styled by Katy England in rare, archive McQueen. Celebrating film, Bond Girl-in-waiting Léa Seydoux is captured by Collier Schorr and AnOther Magazine fashion director Katie Shillingford, dressed in Sarah Burton’s current McQueen collection. 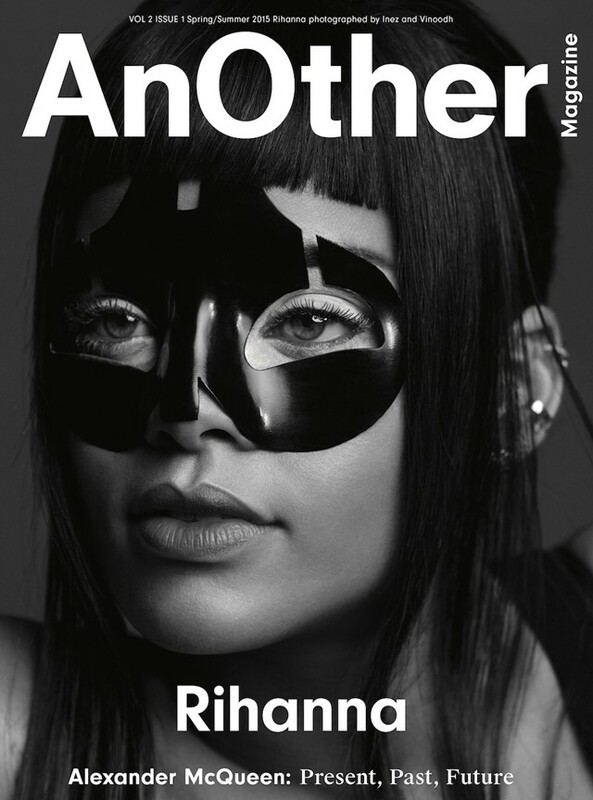 Finally, celebrating music, pop icon Rihanna, shot by Inez and Vinoodh, wears a McQueen mask on the cover, with the full story featuring a custom-made bodice and suit by Sarah Burton. Susannah Frankel came to understand Lee McQueen better than most over the course of her 14-year friendship with the courageous yet fragile designer. In the issue, she revisits their most revealing conversations alongside an extraordinary fashion story by Nick Knight. The shoot includes precious archive pieces from the 90s, many feared lost and some never before photographed for the pages of a magazine. This issue also celebrates the Present, Past and Future of AnOther Magazine, with a new logo and complete redesign by new creative director Laura Genninger of Studio 191 in New York. It includes a blockbuster fashion story celebrating ten years of creative direction of the magazine by DJA, shot by Willy Vanderperre and Olivier Rizzo under the creative direction of David James. Plus: Sigourney Weaver, Laurie Anderson, Philippe Parreno, Miranda July, Carsten Holler, Neneh Cherry, Nadja Swarovski, Abel Ferrara, Frida Kahlo's hidden wardrobe, Marianne Faithfull's bookshelf. AnOther Magazine S/S15 is out on February 19.